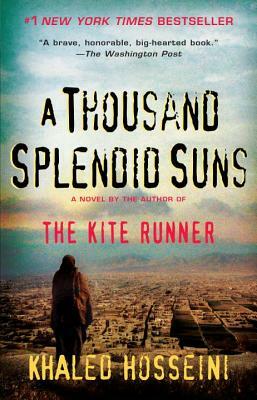 The phrase "a thousand splendid suns," from the poem by Saib-e-Tabrizi, is quoted twice in the novel – once as Laila's family prepares to leave Kabul, and again when she decides to return there from Pakistan. It is also echoed in one of the final lines: "Miriam is in Laila's own heart, where she shines with the bursting radiance of a thousand suns." Discuss the thematic significance of this phrase. By the time Laila is rescued from the rubble of her home by Rasheed and Mariam, Mariam's marriage has become a miserable existence of neglect and abuse. Yet when she realizes that Rasheed intends to marry Laila, she reacts with outrage. Given that Laila's presence actually tempers Rasheed's abuse, why is Mariam so hostile toward her? Laila's friendship with Mariam begins when she defends Mariam from a beating by Rasheed. Why does Laila take this action, despite the contempt Mariam has consistently shown her? Growing up, Laila feels that her mother's love is reserved for her two brothers. "People," she decides, "shouldn't be allowed to have new children if they'd already given away all their love to their old ones." How does this sentiment inform Laila's reaction to becoming pregnant with Rasheed's child? What lessons from her childhood does Laila apply in raising her own children? At several points in the story, Mariam and Laila pass themselves off as mother and daughter. What is the symbolic importance of this subterfuge? In what ways is Mariam's and Laila's relationship with each other informed by their relationships with their own mothers? One of the Taliban judges at Mariam's trial tells her, "God has made us different, you women and us men. Our brains are different. You are not able to think like we can. Western doctors and their science have proven this." What is the irony in this statement? How is irony employed throughout the novel? Laila's father tells her, "You're a very, very bright girl. Truly you are. You can be anything that you want." Discuss Laila's relationship with her father. What aspects of his character does she inherit? In what ways is she different? The driver who takes Babi, Laila, and Tariq to the giant stone Buddhas above the Bamiyan Valley describes the crumbling fortress of Shahr-e-Zohak as "the story of our country, one invader after another… we're like those walls up there. Battered, and nothing pretty to look at, but still standing." Discuss the metaphorical import of this passage as it relates to Miriam and Laila. In what ways does their story reflect the larger story of Afghanistan's troubled history? Among other things, the Taliban forbid "writing books, watching films, and painting pictures." Yet despite this edict, the film Titanic becomes a sensation on the black market. Why would people risk the Taliban's violent reprisals for a taste of popcorn entertainment? What do the Taliban's restrictions on such material say about the power of artistic expression and the threat it poses to repressive political regimes? While the first three parts of the novel are written in the past tense, the final part is written in present tense. What do you think was the author's intent in making this shift? How does it change the effect of this final section?